It’s always better to live by the “Work smart, not hard” motto. These office organizing tips will help you reduce clutter, organize paperwork and clean your office in no time! Make a to-do list. Taking a few minutes to list your organization goals can keep your from feeling overwhelmed. Stay focused! Once you start clearing out the clutter, you’re going to find lost memos, business cards, and small supplies you thought The Littles had made off with. Do not get sidetracked. When you cleaning out your drawers, keep cleaning your office drawer until they are completely clutter free. Don’t switch to organizing your Rolodex just because you’ve found a lost business card or two. Develop a filing system and stick with it. As noted long ago at Smart Office, uniformity is the key to effective filing systems. Taking the time to create a file guide to keep on top of file cabinets, particularly file cabinets in shared work spaces, ensures that every one know exactly where the office files go. That will go a long way towards keeping all the office files organized. Organize your Cds and DVDs. Before you can organize your CDs and DVDs, you need to identify and label them. LightScribe permanently labels CDs and DVDs, while printed labels provide the flexibility need for your DVD- and CD-R discs. Once you’ve labeled, you can quickly organize your organize your CDs and DVDs. Get a new file cabinet if you need one. You can’t organize your office if half of your office file jackets and folders live in messy, disorganized piles and stacks on the floor and on top of guest seating. It’s time for a bigger file cabinet. Before you buy a file cabinet, learn the difference between lateral and vertical filing cabinets, and which cabinet style works best with your office filing system. Organize desk files with desktop file sorters. Unorganized desk files, memos and letters make any office desk look messy and hide important files and paperwork. Organize letters and loose documents in desk trays. Desk files are a great way to keep frequently reference files organized and close at hand. Organize your desk supplies. Now, there’s nothing wrong with keeping your pens and pencils in an old coffee can– if you work from home and never hold meetings in your office. But if you interact with clients and colleagues in your office, you need real pencil cups and supply organizers. They only cost a few bucks, and project an organized, professional image. Organize and detangle cords and cables. One the messiest areas of any workspace is the unsightly tangle of cords and cables that power modern office machines. People have devoloped all sorts of creative… and dubious DIY methods of organizing cables. The are really just a couple of good ways to deal with tangled cords and cables – Cord concealers and cable straps. Cable straps prevent cord tangles at workstation, with colored cable straps allowing for color coding for easy identification. Cord concealers work great in shared workspaces and large offices thanks to channels that hide power cords and networking, and guide them to the right office machines and outlets. Just make sure you choose a cord concealer with a self adhesive backing so no one disturbs or trips over the office cables and cords. Make a shopping list of the supplies you’re running low on. You should re-order all your office supplies at the same time whenever possible. 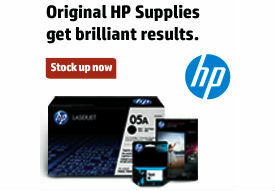 When you buy office supplies online at On Time Supplies, you can take advantage of bulk order discounts, as well as free fast shipping on orders of $75 or more. Clean & disinfect every work surface. Most office desk host a whopping 22,000 germs per square inch. Your office telephone is even worse. You don’t even want to know how many icky germs are living, breathing and breading on your telephone handset, so I’m not going to tell you. Suffice it to say, a few disinfecting wipes will go a long way towards preventing illnesses. And you’re done! Take a look around — Doesn’t your office look nice?! Now that you’ve organized your workspace and office files, pull this list once a month or so and do it all again!